It’s time!!! I am making lists and checking them twice. It is time to crawl into the vast recesses of the crawl space in the basement and pull out all of the Christmas bins…time to put candles in the windows and wreaths on the doors and jolly up every single day!!! We are going to go to Christmas musicals and see Christmas lights and wear tons of red. My house smells like a pine tree…thanks to Pier 1’s amazing Christmas fragrance…it is the best smell in the world. We put a huge towering tree in the sun room and a small tree in the dining room. We pull out two bins of Christmas mugs and only use them until January rolls around. 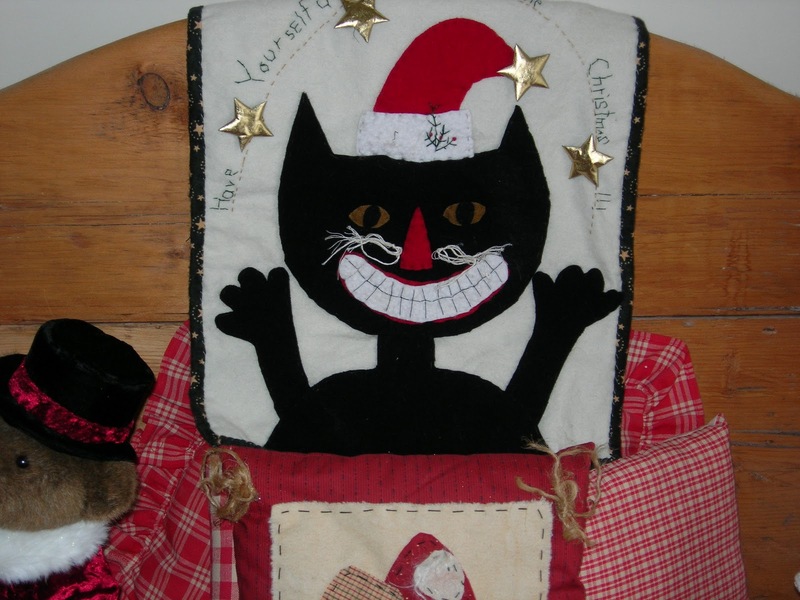 I have hand made Santa’s and quilts everywhere. Thank goodness red is one of my favorite colors. It is time for secrets and surprises and sugar sprinkled cookies. My SUV is loaded with Christmas music. December 1st is like a starting gate for us…to just let the magic of Christmas envelope us…ho ho ho!!! 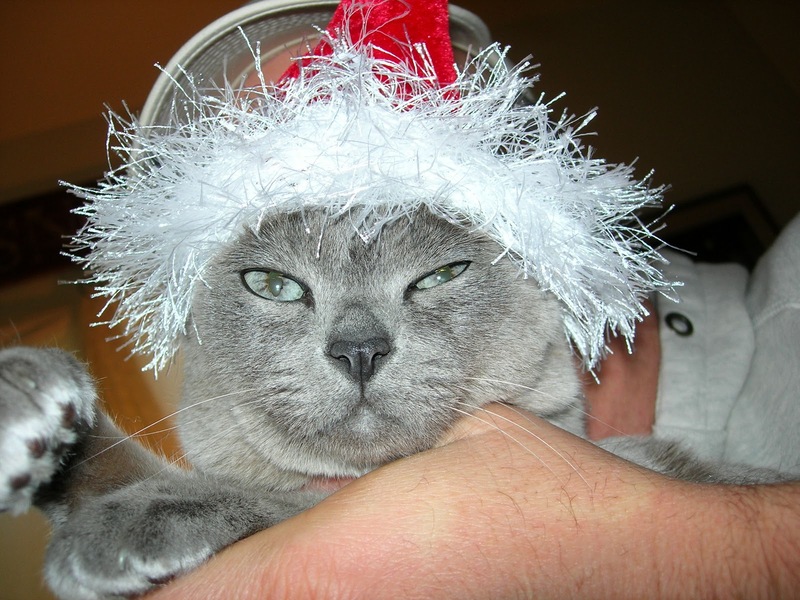 I love the picture of your cat – her displeasure is obvious. I love the Christmas stuff!! I have an oil that I use in my warmer called Evergreen and it smells great… just like a forest.